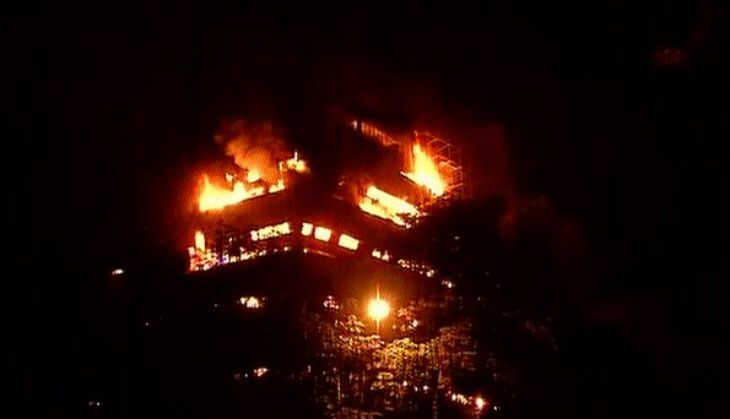 As news of the fire at the National Musuem of Natural History broke out early in the morning today, along with it, came the news of damage caused to rare and extinct artefacts. The fire also damaged the Discovery Room, situated on the second floor and the Activity Room. In the Activity Room, children would examine specimens, explore discovery boxes and were sensitised to nature. The National Museum of Natural History was famous for it's a massive life-size dinosaur model. This model-dinosaur, roaring at the entry of the building, was the high point for visitors. It introduced visitors to natural history, ecology, environment and conservation. It also had a good collection of replica animals and birds. The museum was established in 1972 by former Prime Minister Indira Gandhi to celebrate the 25th anniversary of Indian Independence. A popular destination for school children, the museum had a good footfall every day (about 1000 visitors). The museum, located in the Federation of Indian Chambers of Commerce & Industry (FICCI) building in Mandi House, was currently under-renovation. The FICCI auditorium is reportedly safe. The fire started from the top floor at 1:45AM and quickly spread to all six floors. Six injured firemen were rushed to Ram Manohar Lohia Hospital with two reportedly in a critical condition. Reports added that the fire and safety mechanism were not functioning properly in the building. Meanwhile, environment minister Prakash Javadekar has ordered an immediate audit of 34 other museums.